Who is this Publishing Coach and Editor? Working as a freelance copywriter/editor for seven years, in 2014 Jen expanded her business to be a support service for authors. Her own steep learning path to self-publishing spurs her on to provide top value to specialists looking to publish a book or ebook. The biggest thing Jen has learnt from copywriting websites… is to drill down on the most important benefits to the target market. Earlier marketing support and writing roles enabled her to gain competence in varied styles of communication: website writing and design, multimedia design, tourist guide writing, and branding. A broad Communications degree from UWS helped Jennifer explore many types of writing as well as editing principles. She achieved high grades and paid projects, including the Summer Research Award. Busily involved in marketing support, life change came in the form of a dashing Englishman and a baby girl. Jen took time between nappy changes to knock out a short book on spending habits. Journalism proved to be a great base for website copywriting. After moving from NSW in 2006, Jennifer set up as a freelance copywriter in sunny Brisbane, offering affordable copywriting and editing services. With a burning desire to educate people in basic investing, Jen then used her spare time to write, edit, format and promote ‘Sack Your Financial Planner’. It was sold online with a website sales letter. (Now an eBook called How to Control Your Financial Destiny). Partnering with Red Planet Design (2009 – 2014) means that Jen has a knack for understanding all things digital marketing, and she is keen to pass on her ‘insider tips’. Recent work has helped her understand social media marketing, blog writing/engagement, and sales funnels with lead magnets. 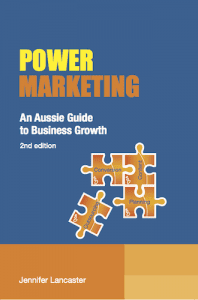 Power Marketing… the remade version! After hours of learning, Jen gathered stories and all the best marketing strategies. 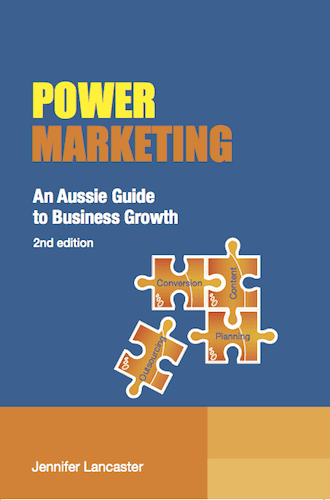 After other forms, she made it a 6″ x 9″ paperback, had a professional book cover designed, and named it Power Marketing: An Aussie Guide to Business Growth. (The 2016 edition is available in the bookstore, and on iBooks). Search engine optimisation was a big part of her earlier learning, which she delved into in 90 posts at Red Planet Design blog. Since 2014, Jen has aided non-fiction writers to compile a book, edit their manuscript, or launch their ebooks on Amazon. 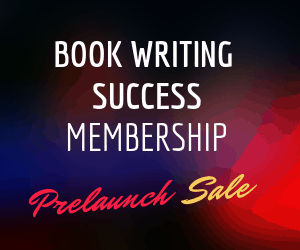 Her self-publishing coaching has often helped Australian writers understand and set up for print on demand at IngramSpark. “It’s really simple – in your words, just be yourself. Project a professional image, but also let people know why you’re here… revel in your unique passions, talents, and personality. I also learned that without support, the journey to success sure is a long one! That’s why I’m creating Business Author Academy … to help business people establish a vibrant personal brand and market their book. Learn more about creating your own books and digital guides — contact Jen Lancaster today for a meeting in Redcliffe (Qld) or over Skype.